I finally got my batch o blades back from Peters , so ill be cranking stuff out each week or two. I still have a few separate blades i send elsewhere that have yet to come back. Love checking out your work, keep'em coming! 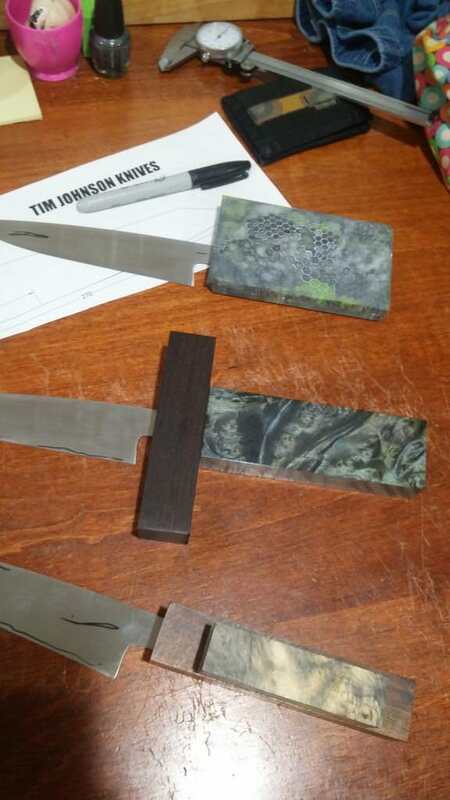 After this current round of custom knives I will be working on my own standard line of knives. 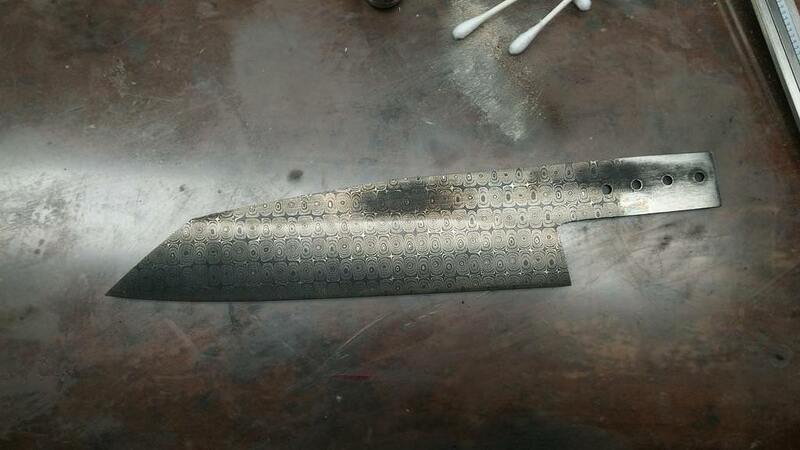 So far I have the first prototype 250mm blade heat treated and ready to be finished up. I will offer that in a pass around. I am working on a 200mm size as well. 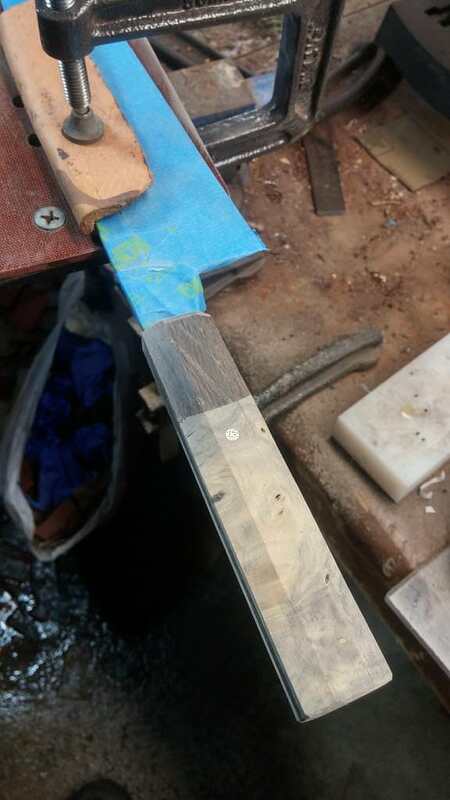 Steel is bohler uddelholm 15n20, handles will be hard rock maple. This is stuff I will attempt to keep in stock and pricing is looking like its gonna be 1$ per blade mm. Excellent news Tim! Always looking forward to seeing more of your work! Here is a "ghost cloud" pattern on some vtoku2 core. Managed to sneak this one in during the week. Now to finish the big 254mm x 54mm nitro V blade this weekend bog oak, buckeye, big ol mono steel blade...its gonna be sweeet. Wow, Tim. That ghost cloud looks stunning. Fantastic work! Wow Tim that ghost cloud looks amazing. You are doing some fine work! 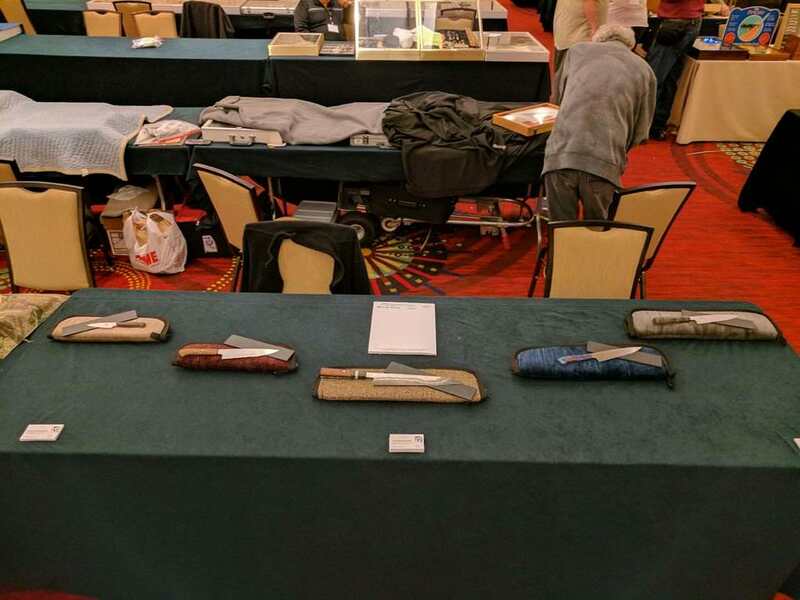 Hope to be able to get one of your knives someday! Keep up the good work! Nice! Can't wait to see what's next. 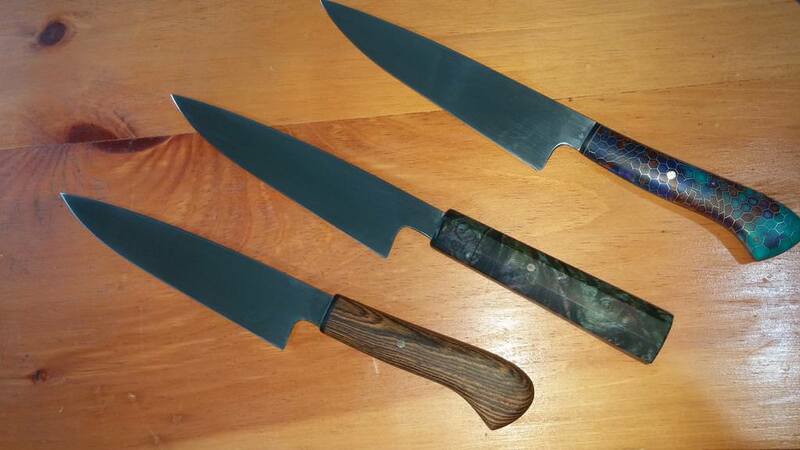 Finishing up a few customs and getting ready for the Mystic, CT knife show. I always watch your stuff on Instagram and am always inspired! Looking great as usual! Is that raindrop from Randy Jr or Hoss? Nitro-V hardened to RC63 in a 54mm x 254mm format. Handle is dove-wa style buckeye with ancient bog oak frame. 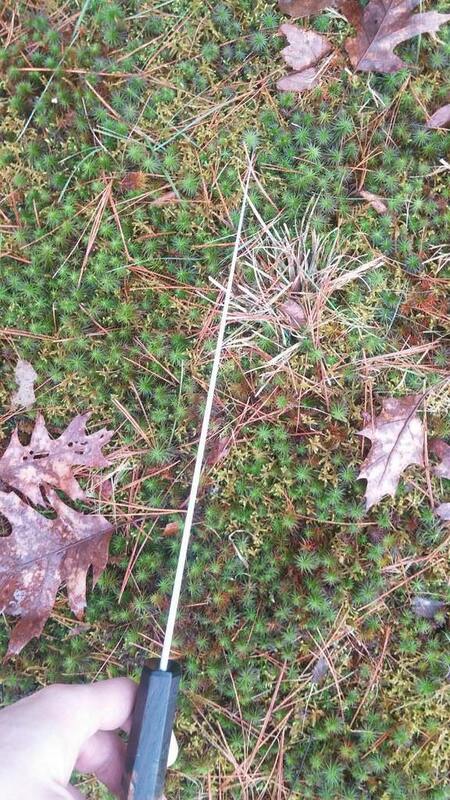 handle detail and distal taper. This tip just ghosts through stuff. Love the profile Tim and that distal taper is....AWESOME! Beautiful full package. Thank you Jeff, its a really nice profile...sort of originated from the masamoto ks but a little taller...almost same profile as the passaround i did couple years back. Here is another one I will have for display at the Mystic knife show end of this month. 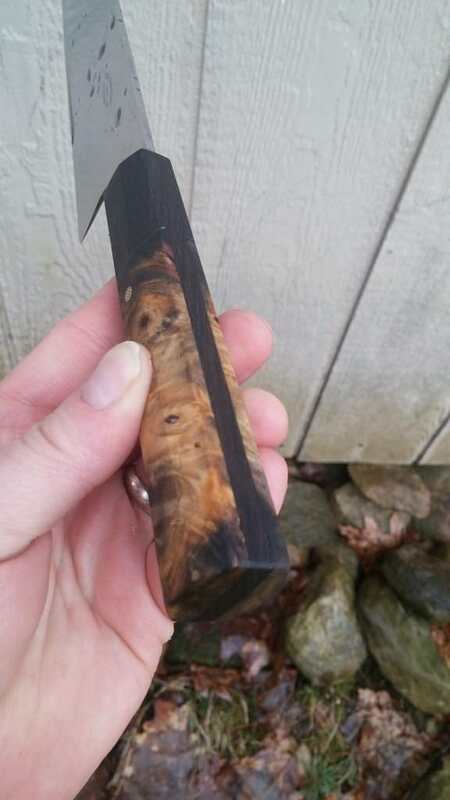 Going with Dove wa style bog oak frame, rosewood burl scales, and a musk ox spacer. 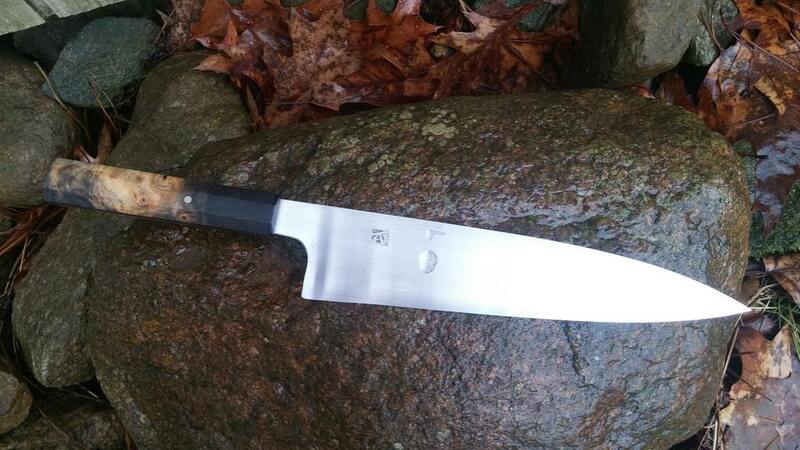 The blade is 52100 core stainless clad steel @ 270mm length. 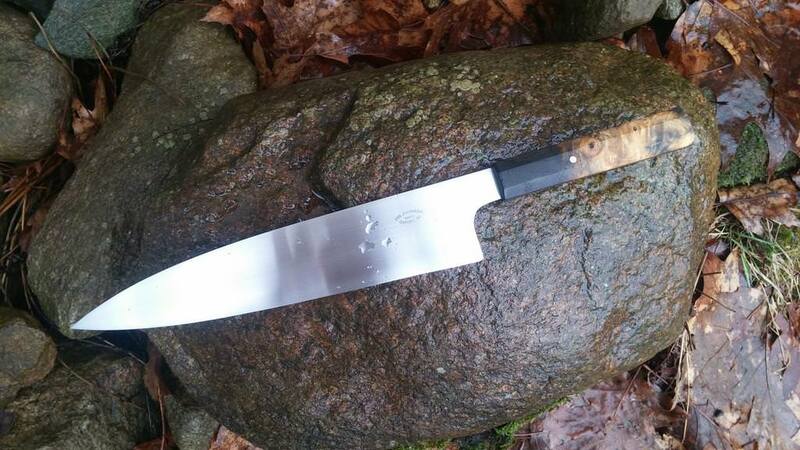 It is a commissioned piece for one of our very own here and the blade was heat treated by Carter Yes, he has 52100 steel dialed in very nicely. 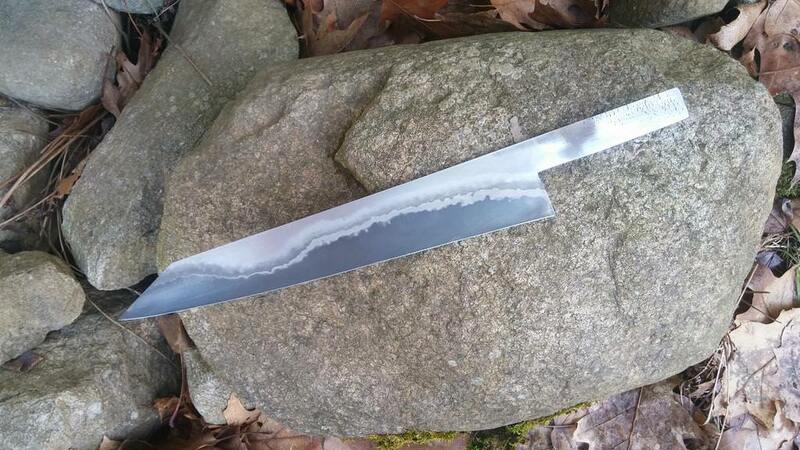 For any knifemakers looking on, I brought the bevels to about .010 behind the edge and then lightly convexed to zero. The tip is wicked thin of course, the 52100 does a great job of supporting a thin edge too. We definitely need to see that one when finished. Oh hell...here we go! Can't wait to see this one Tim! 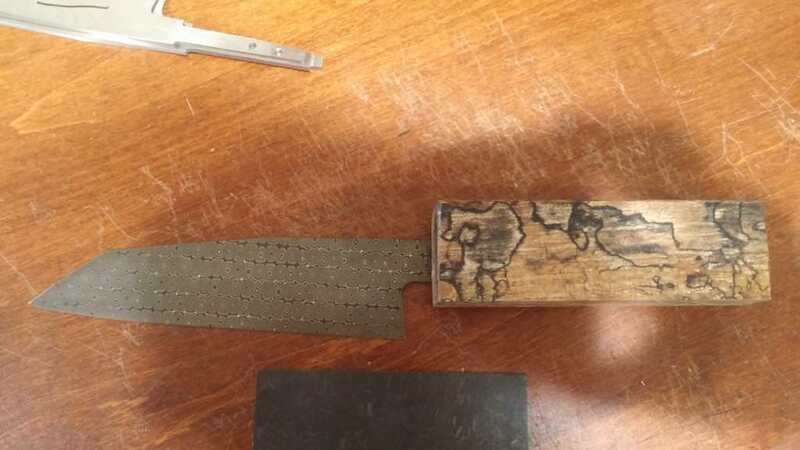 the broken blade was a custom order that my client was letting me hold on to for the show...well there had been a hairline crack in the spine where the blade had been heated with a torch to straighten during heat treating....This has never happened to me in over 70 blades but i have seen pics of others. 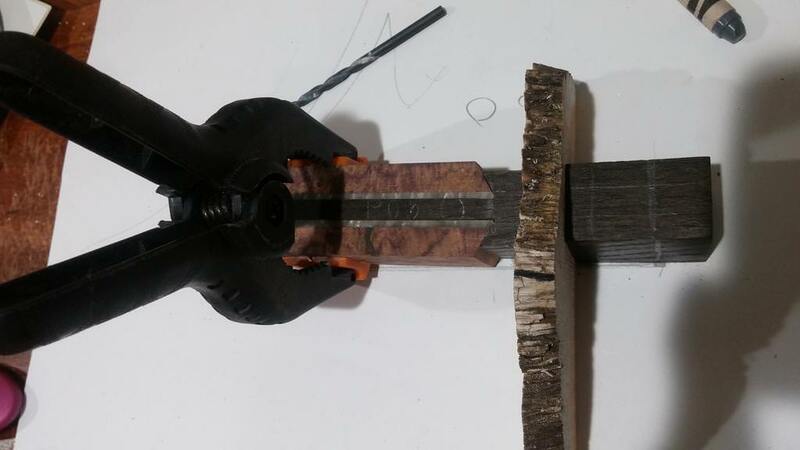 In any case, as I clamped the blade down to polish the handle i heard/felt a dreaded "pop". Here is some of my Nitro V assassin petty's that will be available soon. I will have some better pics soon. 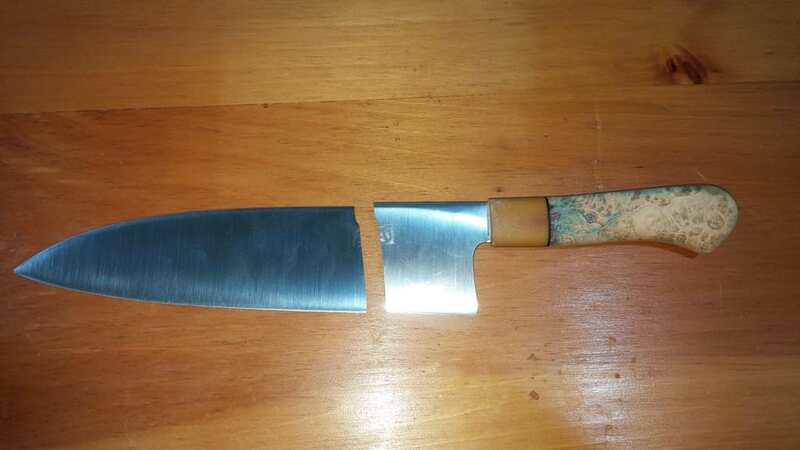 Is the handle salvageable on the broken custom or is it epoxied to well to ever remove it intact? And those petties look fantastic!